Calculate the rate of price inflation between two dates using one of our inflation rate calculators. The Cumulative Inflation Calculator calculates total inflation in percent between exact months and years since 1913. Other calculators that do not request a month use an average for the year which would produce similar results to choosing June or July as your month but this would not include inflation for the first half of the year. So for short time periods the result would be much less accurate. But we have several other inflation calculators to choose from. 2) If however, you would like to know the total cumulative inflation between two specific months at any point between 1913 and the present use our Cumulative Inflation Calculator. Simply enter a starting date (month and year) and an ending date (month and Year) and the calculator will tell you the total percentage of inflation between those two points. Then you can easily plug the result into the "How much it would cost after Inflation Calculator" to determine the difference in dollar terms. The cumulative inflation calculator also uses the Consumer Price Index published by the U.S. Bureau of Labor Statistics which is the most closely watched indicator for inflation in the U.S. It can be considered the "government’s key inflation barometer". 3) If you know the inflation rate and would like to know how much something would cost after increasing in price by that amount of inflation use the "How much it would cost after Inflation Calculator"
4) Is your salary keeping up with inflation? What you need next year just to keep up. Use our Salary Inflation Calculator. 5) To compare the cost of living in two cities use this Cost of Living calculator. Financial managers say this is a great tool when you are trying to decide on a big move and need to budget properly. 6) If you are interested in the Current Inflation Rate or the Historical Inflation Rate we have tables and charts for them as well. Bi-Weekly Mortgage Calculator- Save thousands of dollars with this painless method. Bi-Weekly mortgage payments drastically reduce the interest paid and the time to pay off your mortgage! Read More about how a Bi-Weekly Mortgage works. Compound Interest Calculator- Compound Interest has the ability to multiply money almost magically. There is a story that Einstein was once asked, "What is the most powerful force in the universe?" his immediate response was "Compound Interest". Rent vs. Own Calculator- Should you rent or should you buy your own home? For many years this has been an easy decision, it was everyone's dream to be able to buy a house and with low interest rates more and more people were able to afford it. Plus rapid appreciation in home values made owning almost a "no-brainer". But with home prices falling it is becoming more difficult to justify a home purchase. This calculator will take the guess work out of the decision and help you decide which is better financially. Millionaire Calculator- What will it take for you to save One Million Dollars? This Millionaire Calculator helps you find out. Mortgage Payoff Calculator- Paying Off your mortgage early will literally save you thousands upon thousands of dollars in interest payments over the life of your loan. It always amazes me how just a few extra dollars a month in payments can drastically reduce how much interest you pay over the life of your loan. This calculator will help you see how much you can save. Salary Inflation Calculator- How much more salary will you need next year based upon the current inflation rate? 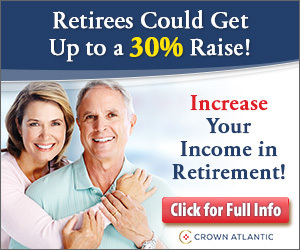 Retirement Planning Calculator- This calculator takes the amount of money you think you will need for retirement, for instance $1,000,000 ($1 Million) or an annual amount like $50,000 and allows you to input the number of years until you retire and then you input your estimate of the annual inflation during those years (say 4%) and the calculator will tell you how much you will need in future dollars to have the same purchasing power as the current amount you think you will need.